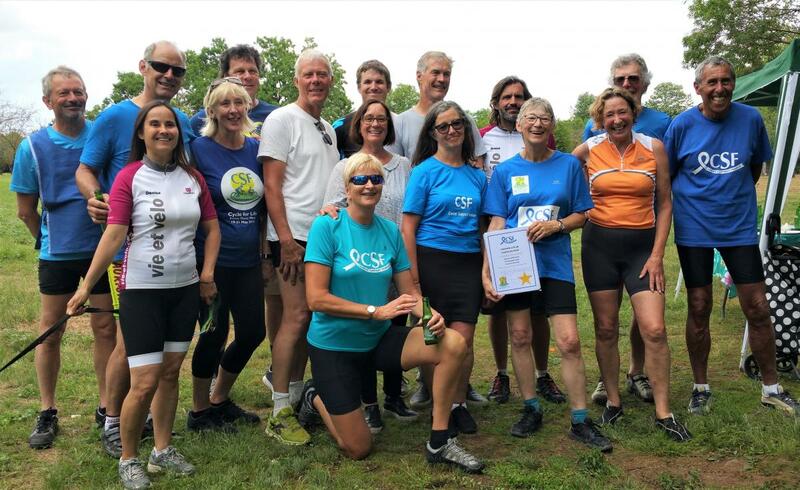 This year's ambitious Cycle For Life, from the Atlantic to the Med, finished on 31st May after a 24km circuit of Agde to see the Canal du Midi entering the Etang du Thau and on into the Mediterranean. A total of 32 cyclists took part, cycling one or more days, with 20 cycling on the final day. 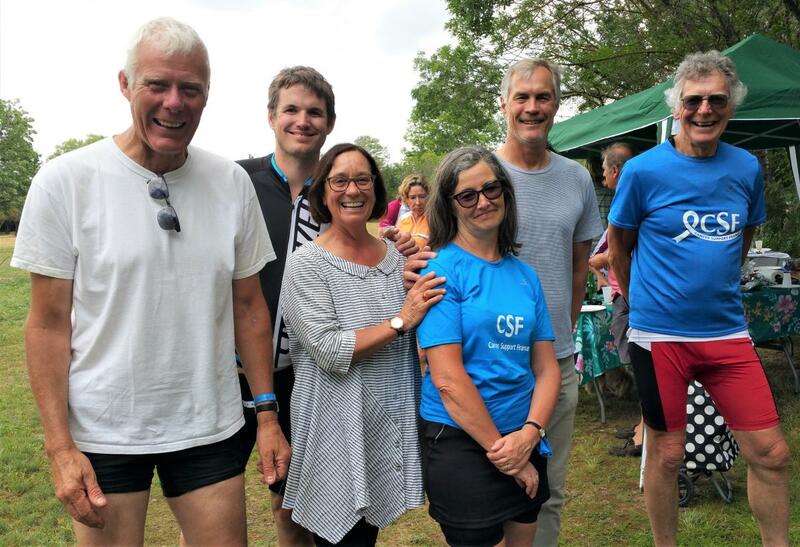 Support and encouragement from CSF associations was greatly appreciated as the cyclists pedalled along the canals soaking up the scenery as well as the odd downpour. The presence of Mme Mayeux-Bouchard, the adjoint of the Mairie of Toulouse, was also a bonus when the riders arrived in the rose red city. Her interest in CSF and what we do is of great benefit in keeping the CSF name known. Carbohydrates fuelled the gallant riders with traditional fish and chips keeping up spirits in Moissac and Carcassonne. The Cycle for Life is not a race, nor is it only for raising funds. It is a fun way for people to share an experience, developing a wonderful feeling of camaraderie as they tackle the challenges. And to bring CSF some publicity along the way. In addition we are close to achieving our goal of €10.000 in sponsorship. This will fund the Trainers' Conference and Train the Trainer programme in November. A huge thank you to the helpers and supporters as the ride passed through various CSF areas, to the many sponsors who provided help, publicity and advice and a big welcome on the last day and, of course, to the cyclists. Without them there would have been no Cycle for Life. Very many thanks to you all and especially to the Magnificent Six. For all the pictures from the ride - have a look in the gallery - accessible over on the right hand side of the page.